So How Does One Apply Beard Oil? Will Beard Oil Make Your Beard Thicker & Fuller? Straight up – Does Beard Oil Cure Beardruff? Help! My Beard Is A Mess, Does It Help Control My Beard? Still Looking For Answers About Beard Oil? Ever hear about beard oil, but skeptical if it actually works? If you are like me, the first time I ever heard it I was literally scratching my beard wondering what this stuff is all about? I mean first off, my beard was growing just fine so why should I add beard oil to my morning routine? Besides, its probably loaded with chemicals and all sorts of synthetic junk that will likely irritate my skin anyways. Let’s cut through all the myths about beard oil and learn why you will seriously wan to consider adding it to your grooming repertoire. 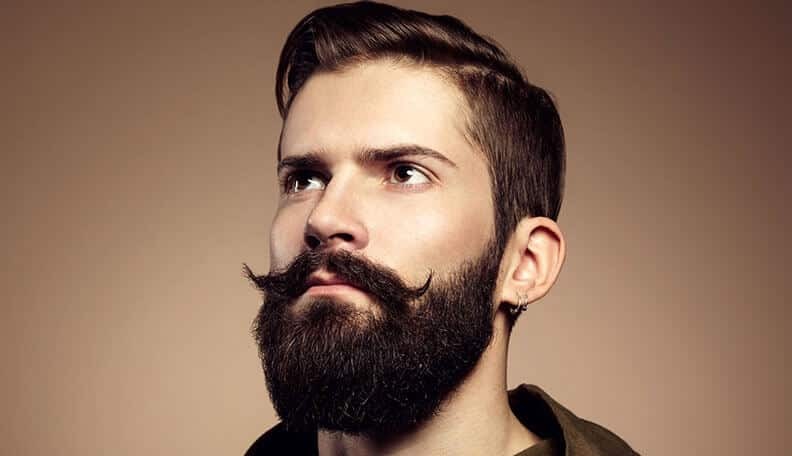 One of the biggest things that guys think of when they first hear about beard oil is that its likely loaded in chemicals. I mean let’s be real here. If you have ever went to the drug store and looked at the ingredients on any of the products you put on to your face, its typically chocked full of stuff you couldn’t pronounce if your life depended on it. 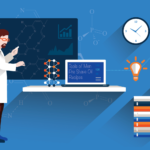 What the heck is PEG 100 Stearate? Also what is ‘fragrance’ that doesn’t really help me know if I am going to smell like the woods or dandelions. With beard oil there are typically two core ingredients that make up the entire compound. In rare instances there might be glycerol mixed in that helps improve the smoothness of the texture of the oil. Carrier oil is the base of the oil and pretty much gives your beard all the key nutrients its currently not receiving. You see when you grow out a longer beard you might hear about beardruff – I’ll touch on this in a minute. 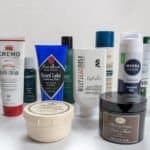 But what happens is that your beard once it gets lengthier – your skin on your face cannot keep up with the demand of producing enough sebum oil (the oil found naturally in your skin). Being that there is a lack of sebum oil production in your skin, its best to use a carrier oil like jojoba to supplement your natural oil production. 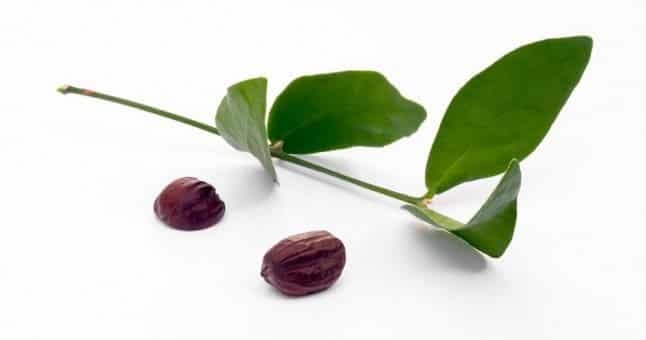 Jojoba oil, if you are unaware, is derived from the jojoba plant and is completely all natural. It’s used in many types of high end cosmetics and shampoos. The other great thing about jojoba oil is that its natures closest complement to the natural sebum oil that you are already producing. If its your first time ever trying out beard oil, your safest bet is to try one with a carrier oil that is compromised of mostly jojoba oil (most vendors will list their ingredients on the label – if they don’t steer clear of using that beard oil). Even if you have oily skin, jojoba when applied actually balances out the oil production on your skin. Another great beginner oil to look out for is argan oil. Again, just like jojoba its derived from a plant and is completely all natural. Of course if you have any sort of severe skin allergies, always do a patch test first or confirm everything with your dermatologist. 2. The second core ingredient to beard oil is essential oils. Just like carrier oils these give you additional benefits for your skin and beard. 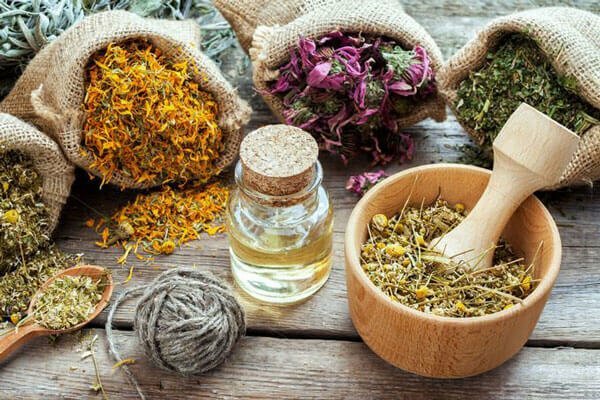 Essential oils like tea tree do great as an antiseptic and will not only make your beard look great and healthier, but will also help clear up any unwanted acne that you may have on your face. Many popular scents from beard oil tend to be on the ‘manly’ side and hover around scents in cedar, sandalwood, pine, etc. These can be great if you want to fully live up the rugged beardsman look. There are hundreds of essential oils out there, so you definitely have a ton of room to explore when it comes to discovering new scents. Essential oils are REALLY potent. Therefore if you have severely sensitive skin, its not the carrier oils you need to watch out for, but the essential oils. Typically if you are going to have a reaction to any sort of beard oil, it would be one that involves citrus scents (lemon, grapefruit, etc). Not to take away from the great scents – its just that you should definitely do a patch test before applying to your whole face. This part is pretty easy! If you have a one or two month old beard, you are going to want to pour out about a dime sized amount of beard oil into the palm of your hand. Simply rub your hands together to ensure there will be an even distribution of oil applied into your beard. For the actual application you will want to start from the root of your hair follicle. As you massage it in with your fingers, you will want to then rub your beard to the tip of the follicles. It’s important to get to the base of your beard as it will make sure that your skin will also receive a lot of great nutrients from the oil. For an even more equal distribution of beard oil, you will want to use a beard brush over a beard comb. 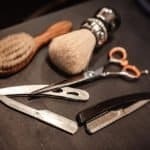 Unsure of the difference between a typical brush or comb compared to one designed for your beard? Check out this complete breakdown between the two where I write about it here. If you have a relatively thinner beard and are looking for it to be a bit fuller, beard oil unfortunately won’t do much. 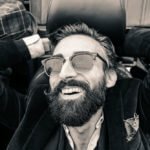 While your beard will definitely look a lot more healthier and feel incredibly softer, the thickening of your actual beard likely won’t occur. If you are looking to make your beard thicker or fuller, there are a few things you can do besides apply beard oil. One of them is minoxidil (aka rogaine) for your face – which does work for about 40% of men. But for the the most natural and best way is to load up on proteins. You will want to make sure you double down on nuts, eggs, beef, fish, etc. 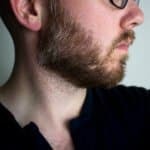 But that’s not all – there are a few other ways to make your beard thicker, in this post that I have outlined here. Your applying oil to your face, that sounds like a recipe for disaster right? When applying beard oil, you do want to exercise some constraint. Check out the application section above. Before you dive into all the exotic beard oils, its always best to check out one that is pretty neutral in its balance and doesn’t involve a slew of different oils. One of my personal favorites to recommend for beginners is the Leven Rose beard oil that contains just two ingredients – jojoba and argan oil. Its a great beginners oil that should be enough to do the job. As your beard gets longer, the sebum oil production from your skin simply can’t produce enough. Beardruff occurs from your skin flaking because the hair follicles from your beard have simply dried up the skin sucking up every last secretion of sebum oil. When applied, its a huge shot of the essential nutrients that both your skin and hair follicles need in order to both look healthy and feel soft (as opposed to appearing dried out and frizzy). 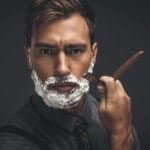 As great as beard oil might be, there are other parts of the beard maintenance routine that you need to be on the look out for. First off, wash your beard properly. While the jury is still out on just how often you should even wash your hair, you should at the very least wash your beard with a beard conditioner. Don’t use a bar of soap or head and shoulders anti-dandruff on your beard. You might be doing more harm than good! To absolutely kill off beardruff, you can introduce beard balm in combination with beard oil. Both ingredients together can help make you beardruff free typically within a week or less. There are other important steps to the beard maintenance routine so make sure you follow them! Short answer here is – NO (well a soft no)! Beard oil in of itself isn’t used for styling purposes. Its core benefit is to supply ample amount of nutrients for your beard which has been covered above. Beard oil isn’t going to work! In the pic above, this guy is without a doubt using a TON of beard wax. If you are looking to have some styling in your beard, beard balm contains beeswax which is a great way to give your beard a little bit of shape. You can’t use just beard oil by itself. 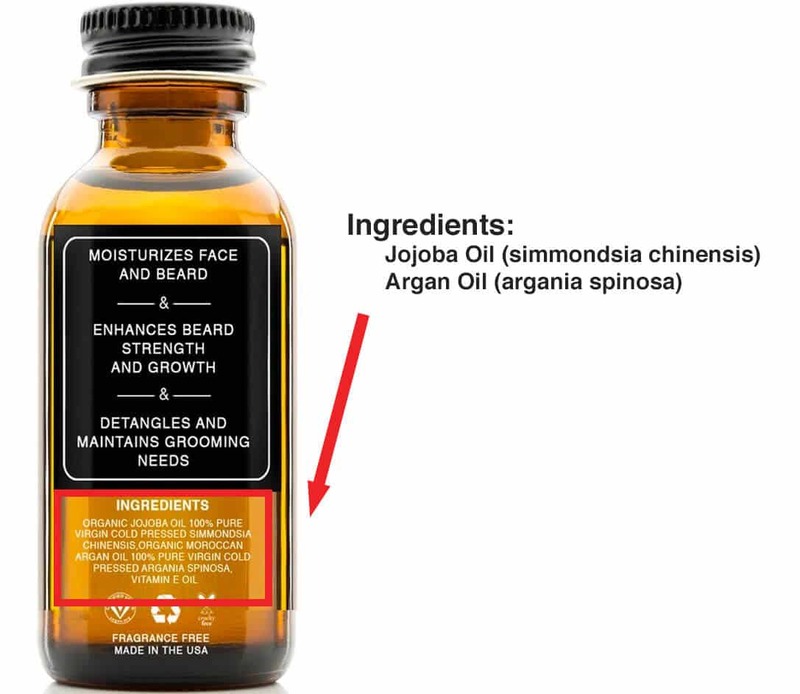 As I said above – beard oil isn’t for styling purposes, there are no ‘holding’ ingredients like beeswax in the ingredients (remember its just carrier and essential oils). 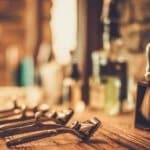 If you use beard oil and want some styling properties to it, you will definitely want to use a beard comb. 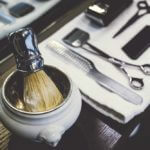 On the contrary to that, if your goal is to make your beard look much more natural, you will want to use a beard brush. Here is a complete breakdown between both a beard comb vs brush. My personal preference is Amazon. It gives you all the protection from a big company (i.e. returns, etc.) while also giving us shoppers the ability to try different types of beard oils. They literally have hundreds to choose from, and if you are prime member, most of them are free shipping as well. 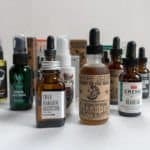 I recently covered some of the best places to buy beard oil online, however, unlike a big box retailer like Amazon, shipping costs are typically pretty steep. If you are looking to buy some beard oil sourced locally, your best bet would be to call some local men’s barbershops to see if they have some in stock. It can be hit or miss, but you might be surprised in a few that do carry a pretty good selection. If you find that beard oil does wonders for your beard (which it will), you might want to save a few bucks by creating this stuff yourself. As you have learned, there are just two core ingredients to beard oil (carrier and essential oils). Making the stuff is just as easy as it sounds! 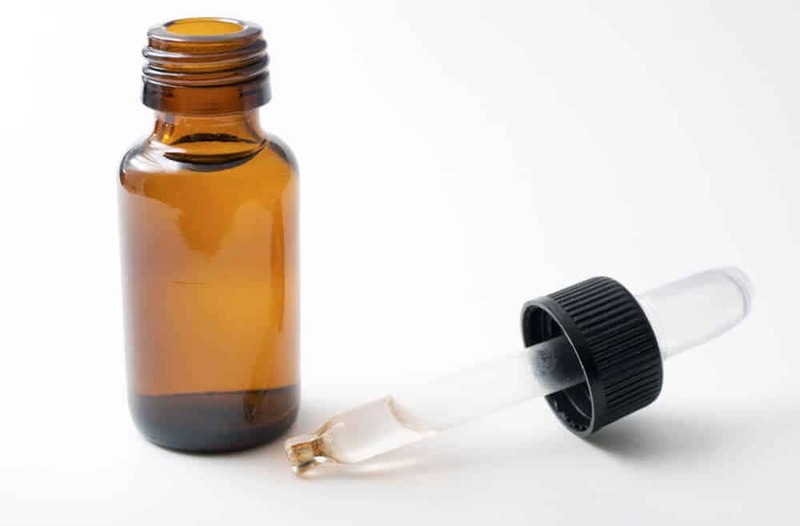 Here is the beginners guide to making your very own beard oil to get you started. Still unsure if beard oil can help your beard game? Feel free to drop a line in the comment section below. I will be happy to help out in any way possible. Until then – beard on!